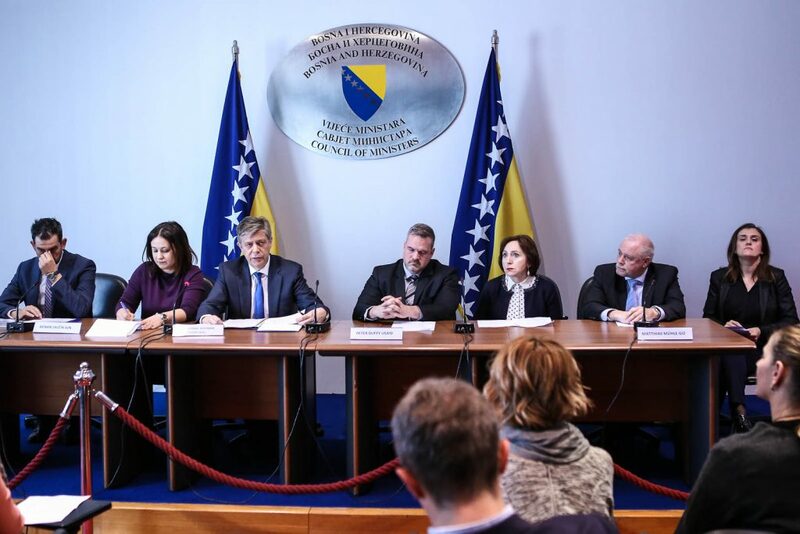 The European Union continues to support the work of the BiH Public Procurement Agency and the improvement of the transparency of the system with a new EUR 2 million IPA project that has the goal of improving the efficiency and effectiveness of the transparency of the system, in line with EU standards. “Public procurement is an essential area of the EU acquis and without adjustments to the current legislation as well as the implementation of the current rules and regulations BiH cannot join the European Union”, said Ambassador Lars-Gunnar Wigemark, Head of the Delegation of the European Union to Bosnia and Herzegovina and EU Special Representative to BiH, during a presentation on the work of the BiH Public Procurement Agency. Đenan Salčin, Director of the Public Procurement Agency, presented the work of the Agency and cooperation with the European Union and other international donors such as USAID and GIZ, through which the transparency of the system has been approved. A more transparent public procurement system will support the efforts of government agencies and institutions in the fight against corruption, enabling a more transparent and open process of allocation of public funds. “There needs to be a culture of sticking to the rules, and that you know that if you break the rules, circumvent or violate them, there are penalties. For that, we need a record of cases of corruption. This culture is part of the EU’s values, meaning that using the system and bending the rules is simply wrong. We have to deal with this on a daily basis in the European Union, which is why we keep updating our rules”, Wigemark underlined. He added that this requires a comprehensive effort on the part of all relevant stakeholders, including the government, as well as the civil society organisations that are instrumental in keeping up pressure and monitoring work.